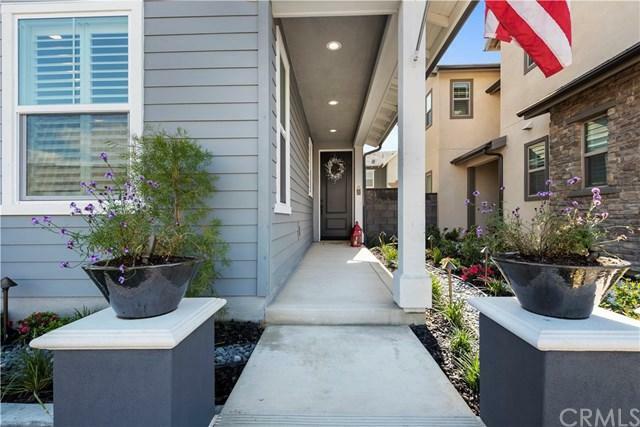 23 Marcar, Rancho Mission Viejo, CA 92694 (#300968884) :: Ascent Real Estate, Inc.
Come see this beautiful 4 Bed, 3 Full Bath, 2,076 sq ft practically Brand New Home Built in 2018. 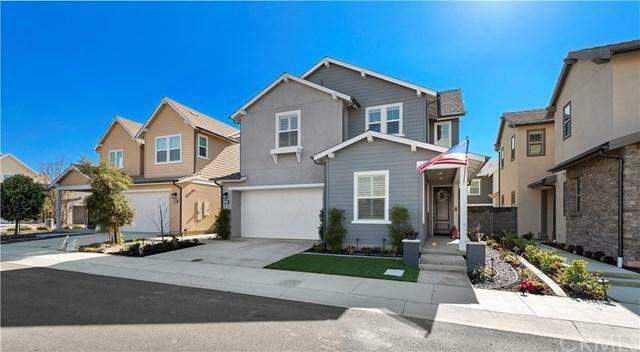 This Avant Plan 3 home is Highly Upgraded & in Pristine Condition, current owners added approx $100k in upgrades since purchasing in April-2018 & are now being relocated. Floor plan features a Full Bed & Bath Downstairs, Master + 2 Bedrooms Up, Great Room that flows into Gourmet Kitchen, spacious Master Bath & Walk-In Closet, fully Finished Front & Back Yards, upstairs Laundry, & New Counters, Floors, Fixture Come see this beautiful 4 Bed, 3 Full Bath, 2,076 sq ft practically Brand New Home Built in 2018. 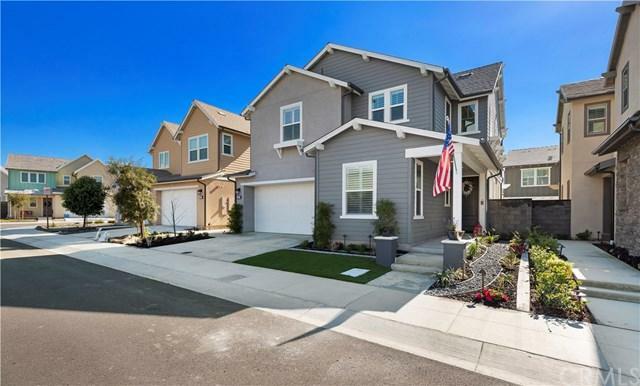 This Avant Plan 3 home is Highly Upgraded & in Pristine Condition, current owners added approx $100k in upgrades since purchasing in April-2018 & are now being relocated. Floor plan features a Full Bed & Bath Downstairs, Master + 2 Bedrooms Up, Great Room that flows into Gourmet Kitchen, spacious Master Bath & Walk-In Closet, fully Finished Front & Back Yards, upstairs Laundry, & New Counters, Floors, Fixtures, & Appliances throughout. Kitchen includes Square Edge, Della Terra White Quartz Counters; custom Pure Shadow Glass Tile Backsplash, Farmhouse Sink, less-than-a-year old Whirlpool Stainless Steel Appliance Package, Shaker Cabinets w/ upgraded Knobs & Dovetail Soft Close drawers, optional Stacked Upper Cabinets, Moen Faucets, Kuzco Pendulant Lights, & Walk-In Pantry. Bathrooms include Quartz Counters, Framed Beveled Mirrors & Kuzco Lighting Fixtures. Other upgrades include Plantation Shutters w/ Black Out Window Treatment, Canned Lights, California Closets, Minka Ceiling Fan, Cultured Stone Entry Way Accent Wall, 2 Bay Garage w/ Custom Lighting, Cabinetry & Storage. Front yard just finished w/ INCA landscape lights. 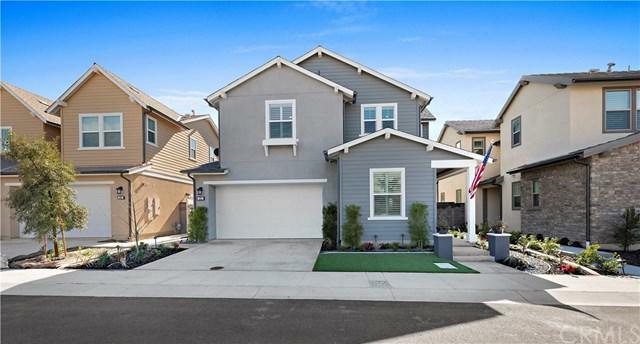 The Avant Neighborhood features homes w/ Full Driveways on traditional streets ÃƒÂ¢Ã¢â€šÂ¬Ã¢â‚¬Å“vs- motor courts or shared driveways & the Rancho Mission Viejo Master Community offers numerous amenities including pools, parks, clubhouses, & walking, biking, & hiking trails!